IEA Reports said solar photovoltaic (PV) systems could generate up to 16 percent of the world's electricity by 2050, while concentrated solar power plants could provide a further 11 percent. Photovoltaic solar power seems to get most of the attention when it comes to solar, but concentrated solar power electricity from concentrating solar power plants has also improved a lot in the last five years. Since 2010, generation of solar thermal electricity (STE) from concentrated solar power (CSP) plants has grown strongly worldwide. The IEA reports that PV could provide 16% of the world’s electricity and concentrated solar power (CSP) could provide another 11%. 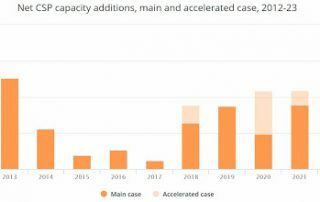 Concentrated Solar Power electricity additions were equivalent to the record level achieved in 2012. 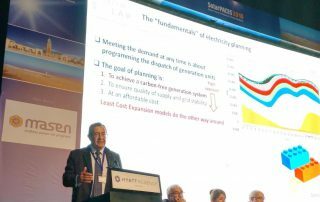 The IEA said some of the technologies with the largest potential, such asoffshore wind power and concentrated solar power (CSP), were showing the least progress.